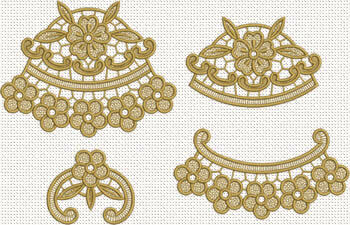 A set of 8 floral lace machine embroidery designs. 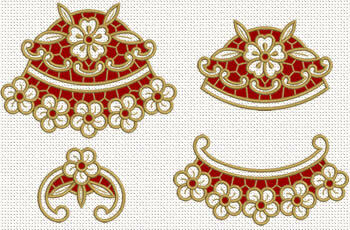 Four of them are created using freestanding lace embroidery technique and the other four are cutwork lace embroidery. The designs from the set can be used e.g. 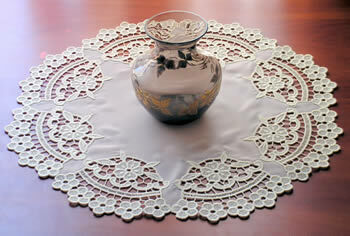 to create beautiful doilies (in combination with suitable fabric) as the one featured on this page (created using Freestanding Lace Flowers #1); decorate table cloth, curtains, pillow cases, etc.